It’s only days away, and the anticipation sits thicker than a fresh brain spewed from it’s head. 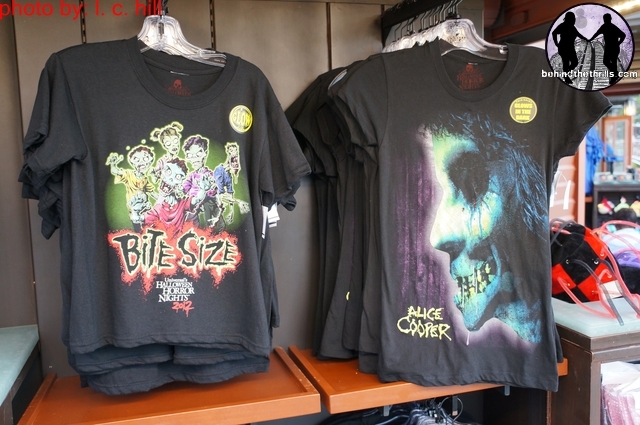 Today Universal Orlando has rolled out with this year’s Halloween Horror Nights Merchandise. Unlike in the past, this year’s merchandise is tailor made for the event. 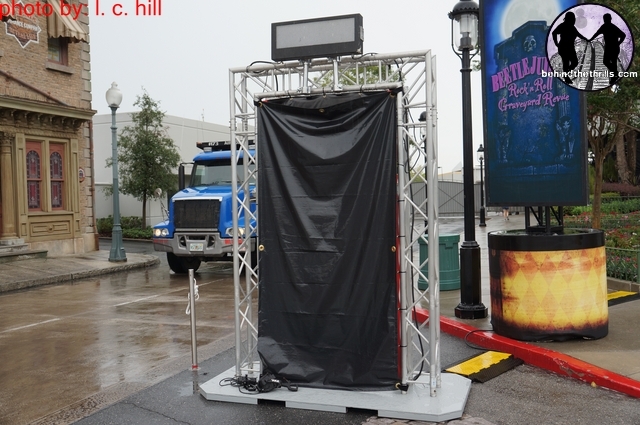 This year Halloween Horror Nights brings AMC’s The Walking Dead, Silent Hill, Penn and Teller and Alice Cooper to life. And they’ve got the merchandise to match. Everything from T-shirts to hoodies, playing cards, shot glasses and hats. 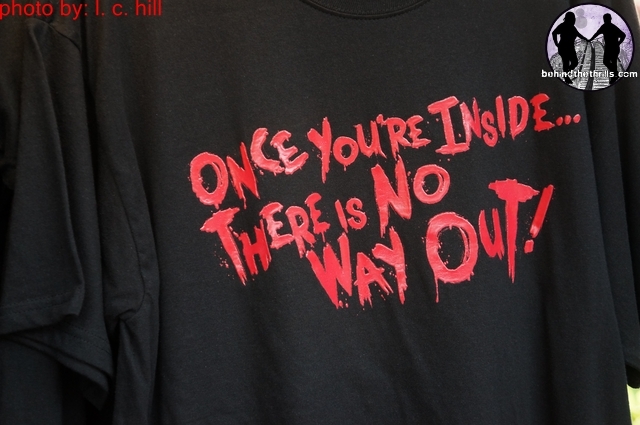 If you want it, HHN has it. 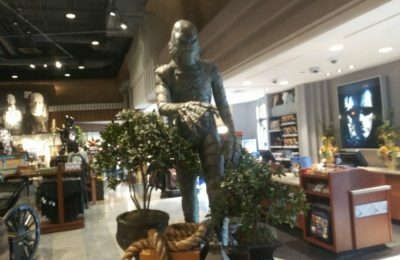 They even have a bobble head zombie (that we were told not to take pictures of because apparently it wasn’t supposed to be out) to go along with the event. 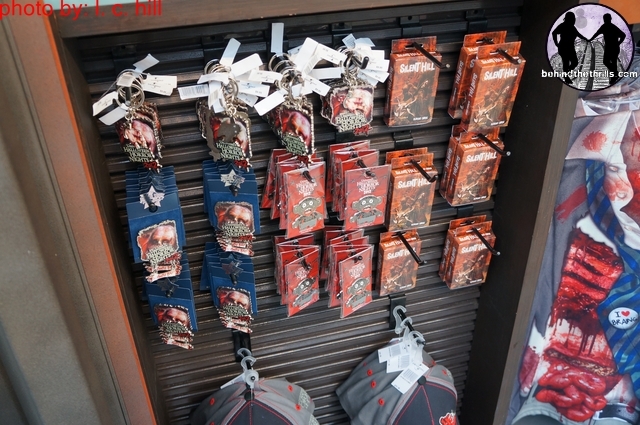 The Walking Dead, zombies and Silent Hill are everywhere on the merchandise. There are even a great set of pins to add to your collection to go along with the awesome Walking Dead lanyard. Meanwhile preparations continue around the park as employee preview night looms on Wednesday night. Signs, stands and more are moving into place. Check out even more merchandise which includes some really killer hats, hoodies and shirts. Meanwhile in the rest of the park, construction moves on. Apparently Shaq has a new show, and was taping it at Universal Studios Florida today. 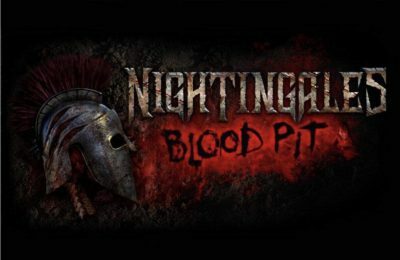 Halloween Horror Nights starts THIS FRIDAY! The event is not recommended for anyone under the age of 13, and is a separate ticket event. For more information on Halloween Horror Nights, visit the official website!